Ready to Talk About Addiction Treatment Options? Call 877-704-7285 Now! 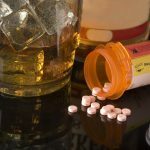 A common occurrence that has now come onto the addiction field in the United States is that of senior drug and alcohol abuse and addiction among the elderly. Prior to the turn of the century, it was pretty rare to find someone over the age of sixty who was heavily addicted to drugs or alcohol. Now however, it is quite common and regular. The truth of the matter here is that, now that the baby boomers are for the most part in retirement, addiction is suddenly something that has come up in the lives of hundreds of thousands of American senior citizens. For example, more older adults are now becoming addicted to powerful pain pills like OxyContin and Percocet to drown out the aches and pains of aging that always come about. The reason why addiction among the elderly was never an issue before, (although the aches and pains of aging have certainly always been around), is that prescription drugs were not immensely popular or pervasive prior to the year 2001. For example, senior women may end up becoming dependent on pain relievers more quickly than men, according to the Centers for Disease Control and Prevention, and their overdoses have been rising rapidly. Overdoses among senior men have been rising rapidly too. As sad as it was, the very recent death of Prince in the month of April from an accidental overdose of pain pills has brought new attention to opioid addiction and abuse. It has also highlighted the extent of prescription drug abuse among older adults, particularly those with plenty of money to spend on drugs. Just like with anything else, money opens the doors for seniors who want to abuse drugs. Access to multiple doctors, many helping hands and lots of financial wherewithal can help cloak the warning signs of addiction. To top it all off, well to do older Americans almost never look like what we general conscience addicts to look like. How do older adults become addicted to drugs? Much in the same way that younger adults do, with seniors, it is often from more innocent or naive causes. Most addicted senior citizens are what are called, “accidental addicts”, meaning they started taking prescription drugs for example to help them handle some physical condition that they had, and they never intended to actually abuse the drug. So an addiction is often discovered only after a bad fall, confusion or even an accidental overdose that was never intended at all. And even then it can sometimes be difficult to detect since signs of addiction can often be dismissed as symptoms of aging, such as confusion, shaky hands and mood swings. A lot of times, senior citizens do not even know they are addicted to drugs until it is too late. There is a strong mental and spiritual side to addiction among the elderly too. The loss of self-worth and self esteem that sometimes comes with retirement and the lack of something to do, especially after a lifetime of achievement and accolades, can be the spark to intentionally turn to drugs and alcohol instead of seeking other ways of addressing and handling these issues. Moreover, addiction thrives on a lack of structure and accountability too, which often runs rampant in previously very active seniors who now have nothing to do. The truth is, a lot of baby boomers are now retired, anxious and have trouble sleeping too. Add in physical conditions like arthritis, multiple prescription drugs and more drinks, and that can be the beginning of addiction for them. 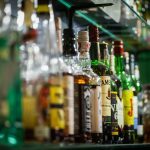 Statistics on those who are addicted to drugs and alcohol are definitely on their way up, but little has been done about this until recently, as it was a very new issue until also very recently. Prescription drug abuse is present in 12 to 15% of elderly individuals who seek medical attention. A document from the Johns Hopkins Medical School notes that the number of Americans over age 50 abusing prescription drugs is projected to rise to 2.7 million in 2020, a 190% increase from the 2001 figure of 910,000. 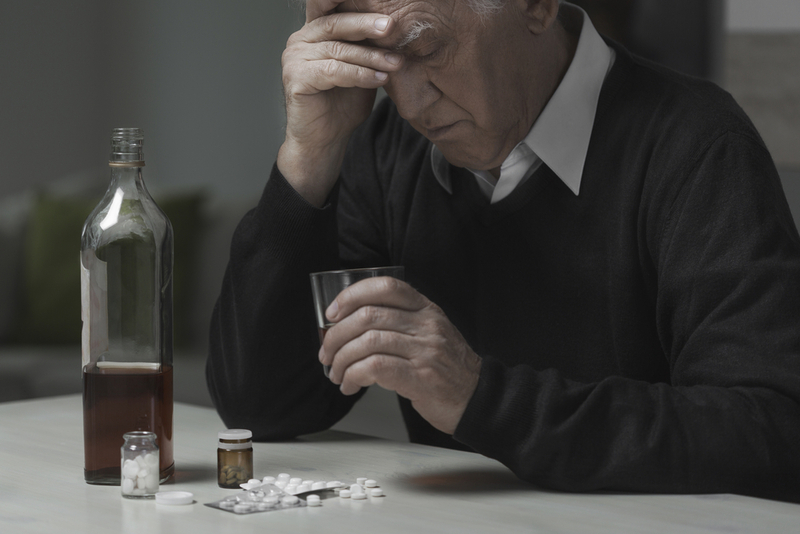 Data from 2010 suggests that between 14 and 20 percent of the elderly population have one or more substance abuse or mental health disorders, which equates to approximately 6 to 8 million older Americans. In the year of 2010, there were 40 million Americans age 65 and older, (a number which is expected to increase to 73 million by 2030). The rates of illicit drug use among adults aged 50 to 59 increased from 2.7 percent to 6.3 percent between 2002 and 2011, according to research from the Substance Abuse and Mental Health Services Administration. Older adults are often taking multiple prescription medications too, which can lead to dangerous drug interactions, particularly if the medications are not all obtained from the same physician or pharmacist. According to the Substance Abuse and Mental Health Services Administration (SAMHSA), 3 out of 10 adults between the ages of 57 and 85 use five prescription medications or more. According to DrugFree.org (citing research from SAMHSA), “Between 1997 and 2008, the rate of hospital admissions for conditions related to prescription medications and illicit drug use rose by 96 percent among people ages 65 and 84; for people 85 and older, admissions grew 87 percent.” Elderly patients who misuse or abuse their prescribed medications are increasing their risk of dangerous side effects, such as drug-induced delirium or dementia, SAMHSA points out. Yet the non-medical use of prescription medications continues to rise in the older adult population. Persons of the age of 65 years and older comprise only 13 percent of the population, yet account for more than one-third of total outpatient spending on prescription medications in the United States of America. The high rates of different illnesses in older populations, age-related changes in drug metabolism, and the potential for drug interactions may make any of these practices more dangerous than in younger populations by quite a bit. Further, a large percentage of older adults also use OTC medicines and dietary supplements, which (in addition to alcohol) could compound any adverse health consequences resulting from prescription drug abuse and misuse. Detoxing older adults from prescription drugs is tricky. Detoxing older adults from anything at all is tricky. Rehabilitating older adults from addiction is also difficult. The phrase, “You can’t teach an old dog new tricks”, comes to mind. Senior citizens do not have the tolerances and the physical abilities that younger adults have. They have to be monitored and slowly withdrawn sand rehabilitated. For seniors, treatment is also slower because there may be physical and cognitive issues to contend with, too. But really, the process for rehabilitating seniors and ending addiction among the elderly is much the same as it is for younger adults. It simply includes detoxification, rehabilitation, and aftercare. It just needs to be done more carefully, it needs to take longer, and it needs to be done with care, compassion, and patience. With proper rehab though it does become very possible and very likely that rehab can be accomplished in any senior citizen who is addicted to drugs and alcohol. New Beginnings is designed for educational purposes only and is not intended to give medical advice. Nothing from the authors, editors, contributors, volunteers, or staff should act as a substitute for professional medical care; and shall have no liability, obligation or responsibility to anyone for any alleged loss, damage or adverse consequence from direct or indirect result of use of material or services from this website. The information provided by New Beginnings through phone, email or web support should not be used for diagnosing or treating any physical or mental health condition or disease. If you have or suspect an alcohol or drug problem, you should consult your health care provider right away. © 2019 New Beginnings. All Rights Reserved.